This article contains tips and tricks on how to survive in Persona 5. For those who are new to the Persona series, you may need this especially because of some new mechanics. Persona 5 may be similar to the old Persona games. However, there might be some mechanics that need strategies. Plus, some new personas to take note of. While you do have the ability to wield at least 12 persona, having strategies is still a good idea. After all, different palaces have different shadows. Each palace has a select set of shadows with specific elemental affinities. Knowing their elemental affinities can greatly affect what kinds of strategies you can use. Having a healer is a benefit no matter the strategy. This will lower your SP consumption in the long run. When running through the first palace, your first healing skill will most likely be Dia. Its owner? Pixie. Because of her healing abilities, you’ll save you a lot of SP by being able to focus on physical attacks. Synchronize physical attacks and healing abilities to minimize SP consumption. In the latter parts of the game however, you can upgrade your healers as you go along. From Dia, you can get Diarama and finally Diarahan or Salvation. However, these are all single target abilities. When using these, focus on healing either the main character or the party member with a physical attack persona. 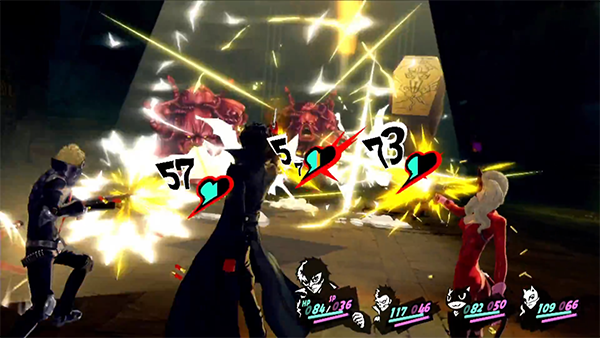 In Persona 5, your main physical attackers Ryuji using Captain Kidd/Seiten Taisei of the Chariot Arcana and Yusuke Kitagawa with his Goemon/Kamu Susano-o. Later on, you’ll have all-heal skills. These are Media, Mediarama, and Mediarahan. These skills can easily turn battles around in your favor. Most persona that have those skills are from the Priestess Arcana. 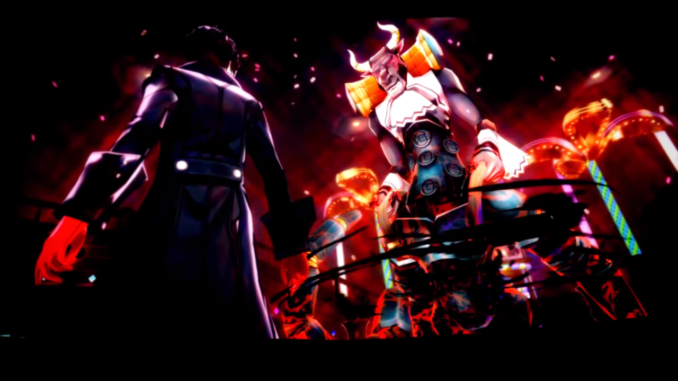 Persona with physical attacks are typically from the Chariot, Strength, or Tower arcana. However, in the earlier parts of the game, the Chariot Arcana will most likely be the one you’ll come across the most. This is generally Berith. While he has a good set-up for physical attacks, he’s easily replaceable. However, take note of physical persona. Some of them have single target attacks while others have area of effect physical attacks. However, the AoE physical attacks can take quite a bit of your HP. If you use them recklessly, you can end up very vulnerable. The best way to stay alive is to team up with at least one healing persona. If you want to deal more damage, make sure to have a persona that can inflict Rakunda on your enemy. It’ll help also if you have a persona that can increase your critical strike rate. Each persona has their own element. Depending on what palace you’re in, this can vastly affect your strategies and roster. In the earlier stages, the best persona to bring are those who wield Ice like Silky. Having one of those in your team will not only allow you to survive and save those valuable heals, but it’ll also allow you to more easily obtain other persona through negotiation. However, as the game continues, you’ll need more skills. Sometimes, you’ll rely on Agi to get you through. While having the highest tier spells are nice, sometimes you don’t need the strongest spells to defeat an enemy. As long as you knock down an enemy, you have an extra turn to blast them away. When entering a palace, make sure you’re well stocked with items. Since SP-recovery items are rather sparse, you might want to watch how often you cast spells. After all, it’d be bad if you end up fighting a boss after running out of SP. Armors can have special abilities as well. Balancing the abilities out with their defensive values is essential to maximizing durability. Accessories are additional items. Because of their versatility, they can either buff one of your stats or provide protection from certain elements or conditions.